Our staff had the privilege to host the annual meeting of the Forum of Bible Agencies International to Jerusalem, this time in Jerusalem for the first time ever! 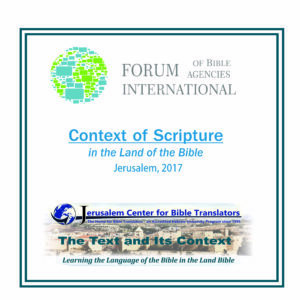 Some 120 individuals–Directors and CEO’s from 41 agencies involved in Bible translation, messaging, or distribution in some capacity–participated in the noteworthy event, the first time every this significant annual meeting was held in Jerusalem. 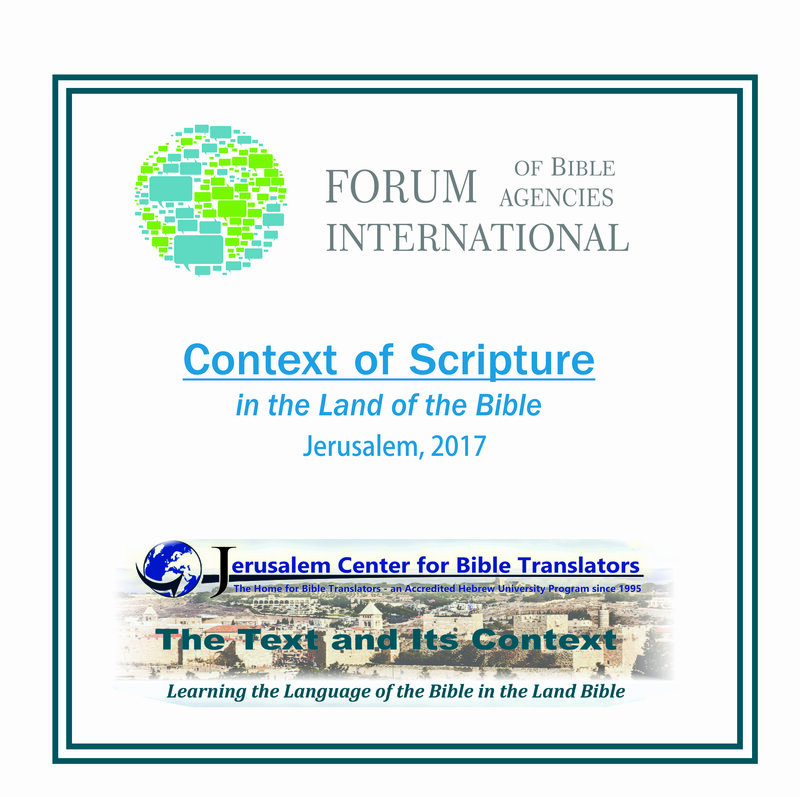 Remarkably, two thirds of the participants had never visited the Land of the Bible before, and could now personally say, “our feet have been standing within your gates, O Jerusalem!” Ashley Scott (FOBAI) and Brian Kvasnica (JCBT) were the key organizers together with a team of co-workers. Many thought the three lectures presented on the theme both provoking and inspiring: The three Ccntexts of the Land: the PHYSICAL Context, the LINGUISTIC Context and the VISUAL Contexts. The visual reality is proving highly significant for all, but especially for deaf translators who use sign language. 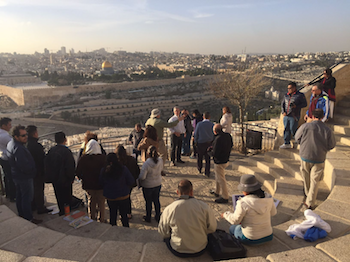 Pre- and post-Annual Meeting study tours were provided by Jerusalem Biblical Studies Society (JBSS) – as well as the tours during the conference – became an integral part of the conference. Tours to the city of David, the hills around Jerusalem and to see Biblical plants and animals where all designed to increase exposure to the Land of the Bible. In spite of the brevity of the conference, the participants were offered an additional serious intellectual and spiritual challenge: What is it like to live and to serve as a Christian minority of 2% amidst the two major communities here, the Israeli Jewish and the Moslem Arab majorities? A panel discussion was held on the subject and a visit to Moslem majority Bethlehem was arranged.